A youthful or beautiful face everybody wants. They resort to get it with different options. Some choose non surgical. Some go for plastic surgery options. We offer all range of cosmetic & plastic surgery procedures in Lahore, Pakistan. Face treatments are unique in a sense it gives you expressions & identity. So everyone wants a pleasant change. Face plastic & cosmetic treatments full range available depending upon individual needs. Fat grafting is one of modern way of treating volume depleted faces and giving youthful appearance to face. Fat transfer surgery can help in dark circles removal, wrinkles treatment, chin and cheek augmentation. 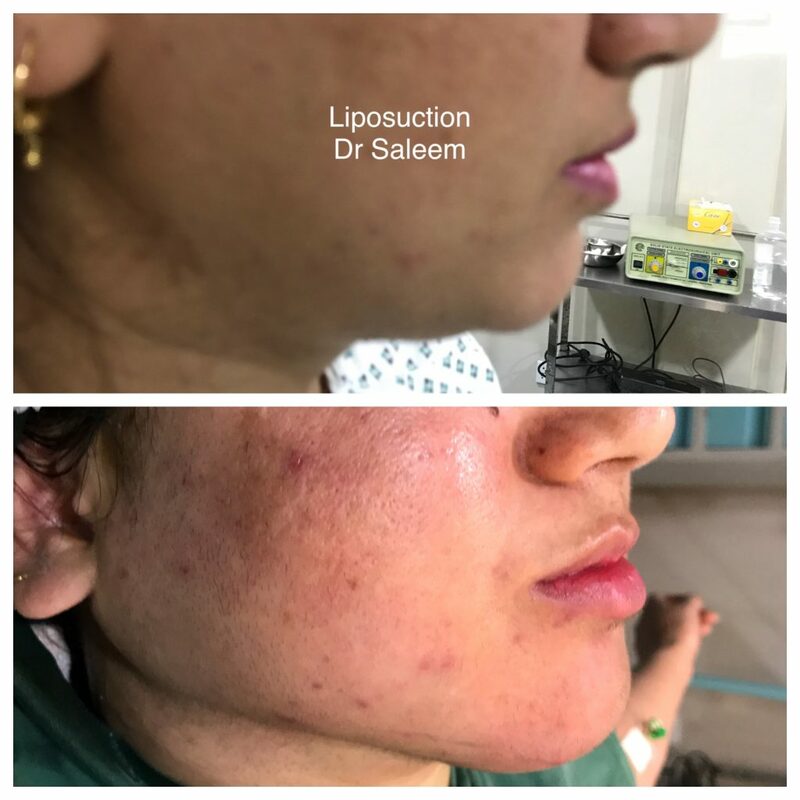 Lipofilling has also been used successfully for breast enhancement, depressed scars & lip augmentation. Want to know more about fat transfer application. Check Fat transfer surgeries by Doctor Saleem. Liposuction to collect fat from donor area like belly or thighs etc. Swelling of donor and recipient area. Bruising for face for days. 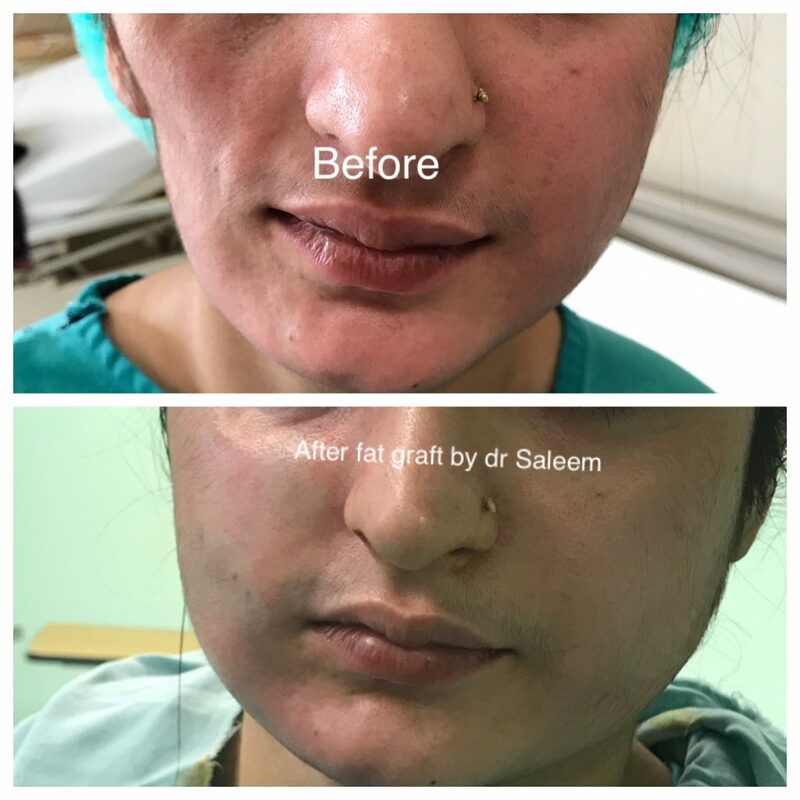 Fat grafting surgery cost in Lahore, Pakistan ranges from 45 to 85 thousand depending upon abnormalities in face. Dr Saleem is an expert surgeon in Fat graft or lipofilling surgery in Pakistan. To book an appointment contact now +923445203650 Whatsapp, IMO. Lips are central to features of face. Asymmetries in size and shape of lips can be very noticeable. 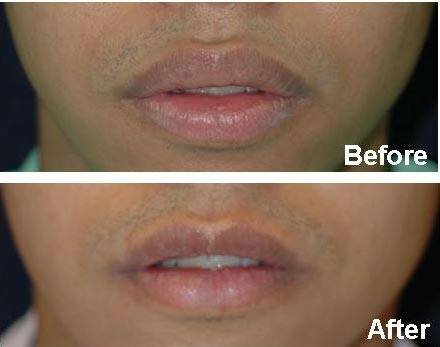 Increase size of lips can cause excessive dryness of lips & crusting. This can be treated with lip reduction surgery. Lip reduction surgery takes 30 to 45 minutes. Performed under local anaesthesia. Before surgery marking is done. Absorbable stitches are used. Following surgery swelling can occur. Recovery may take around 5 days. Initially liquid or soft diet is advocated for few days. Final results may take 3 to 6 months. Lip reduction surgery cost in Lahore, Pakistan varies from 35 to 85 thousand rupees. To Get appointment Contact +923445203650 Whatsapp, IMO. Double chin removal is done with neck or chin fat removal through liposuction. It is short procedure with short down time & quick recovery. It can achieve a sharp jaw line. It is 30 minutes procedure under local anesthesia. Immediately after procedure dressing is applied for 5 to 7 days. Want to know about liposuction? Neck or Jaw liposuctions can lead to swelling, bruising & numbness for short period time*. Difficulty in eating & speech may occur. To avoid these side effects surgery should always be performed by expert plastic surgeon. Scars can be revised or removed depending upon their location on face or body. Sometime keloid or hypertrophic scars can occur on ear lobe or chest. Especially post trauma scars, or burn scars. Before treatment each scar is evaluated carefully & plan is made. Some scars cannot be removed but can be revised. Few scars need plastic surgical modification and long term scar creams management. Scar Removal cost varies according to scars and treatment type chosen. To find cost of scar treatment contact by whatsapp pictures +923445203650. Since it looks attractive, people are increasingly looking for surgery to create dimples. This surgery is performed in local anaesthesia. 30 Minutes procedure. Basic principle behind Dimple creation lies in attachment of cheek muscles with deeper layer of skin. So upon animation, dimple appears. Recovery from procedure may take 3 to 5 days. Final results of dimple creation take around 3 months. Initially dimple remains persistent in 2 to 3 weeks then appears only upon smiling. Dimple creation surgery should always be done from board certified plastic surgeon because of inherent risks associated with this surgery. 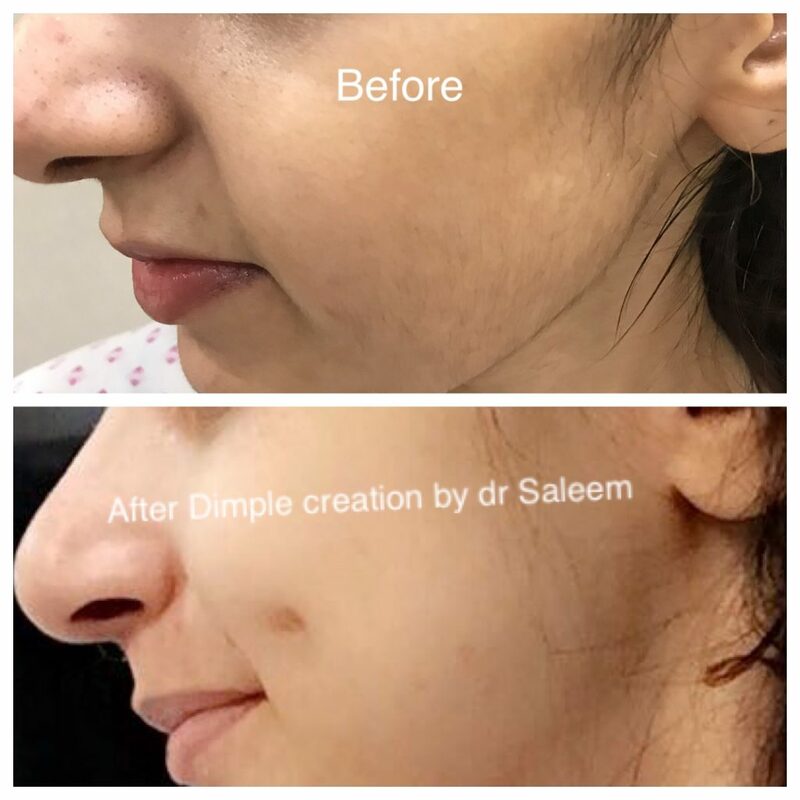 Dimple creation cost in Lahore, Pakistan around 35 to 75 thousand. We offer dimple surgery in lahore at affordable price. To get this surgery done, contact +923445203650 Whatsapp. Do you have chubby cheeks? Or a round Face apearance? Then there is procedure to enhance facial features and slimmer look. Commonly called as buccal fat pad removal or partial buccal lipectomy. Mostly people complains of large face and want to make it smaller. Or want V shaped face or jaw. This is office procedure through numbing face. Incision is performed inside mouth and Fat pad extraction is done. Patient can go home on same day. Meticulous care during surgery is required to achieve optimal results.